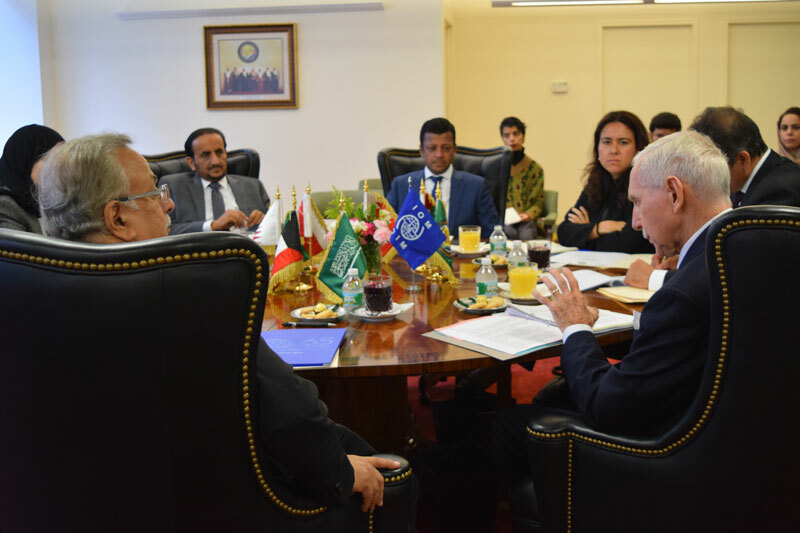 United Nations - IOM Director General William Lacy Swing last week briefed the Cooperation Council for the Arab States of the Gulf for the first time at the United Nations in New York with the aim of strengthening cooperation between the two groups. Colloquially known as the Gulf Cooperation Council (GCC), the Council is a regional intergovernmental political and economic union, comprising Bahrain, Kuwait, Oman, Qatar, Saudi Arabia and the United Arab Emirates. IOM has worked with the GCC countries through numerous partnerships over the years, including the Abu Dhabi Dialogue, of which both the GCC countries and IOM are founding members. More recently they took part in the preparatory meeting for the 19 September Summit of the Arab Regional Consultative Process on Migration (ARCP). The GCC countries have contributed to IOM’s humanitarian efforts in Syria, Iraq, Somalia and Yemen. IOM also has a presence in the Gulf region through an IOM office in Kuwait. Ambassador Swing briefed the GCC on IOM-UN relations, including IOM’s recent accession to the UN system. He noted: “IOM will retain the attributes to which its Member States attach importance, namely responsiveness, efficiency, cost-effectiveness and independence.” He also discussed the outcomes of the UN Summit for Refugees and Migrants and what is expected now that the Summit has taken place. IOM hopes to provide further support to GCC countries in the area of research on labour mobility to the region in order to build an evidence base that allows governments to make informed policy and programming decisions to meet their labour market development objectives. It also hopes to expand its work in counter-trafficking and assisted voluntary return – also areas in which it already works with the GCC countries. For further information, please contact Olivia Headon at IOM NY. Email: oheadon@iom.int, Tel: +19175741676.